KAMPALA – Under the European Union (EU)-funded Slums project, IOM recently organized a meeting at which slum residents and leaders at various levels exchanged views on public services in informal settlements in the Ugandan capital Kampala. 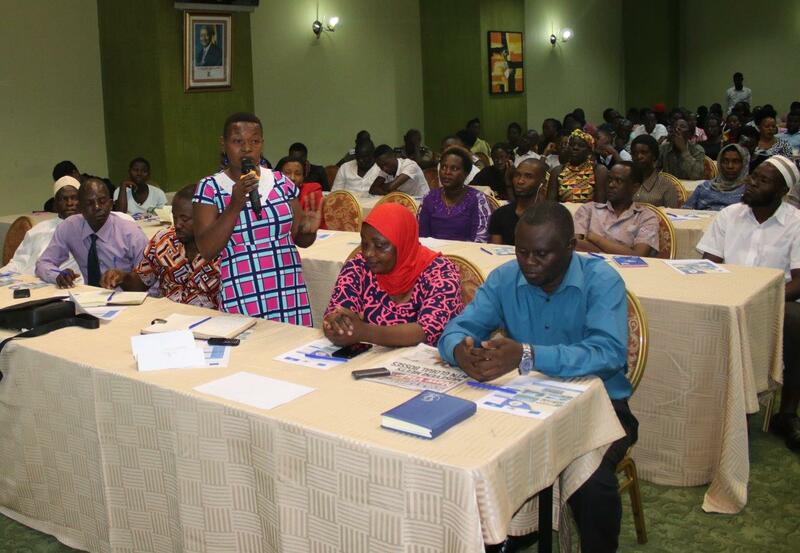 The meeting was part of a series of public dialogues on supply-side and demand-side accountability, which will culminate into a roadmap towards improved services for slum communities in Kampala. The Supply and Demand Side Accountability components are part of the Strengthening Social Cohesion and Stability in Slum Populations (SSCoS) project, funded by the European Union Trust Fund for Africa. This community stabilization action aims to tackle the root causes of radicalization in slum populations by addressing the sources of grievances and strengthening community cohesion around shared assets. Interventions support both the vulnerable populations and key institutions serving them. The project is implemented in four slums by IOM Uganda, along with partners led by the nongovernmental organization AFFCAD (Action for Fundamental Change and Development). It is hoped that the supply and demand-side accountability component of the project will help strengthen the community’s capacity to demand improved services in Kampala’s informal settlements and to support with dialogue between Government and residents. 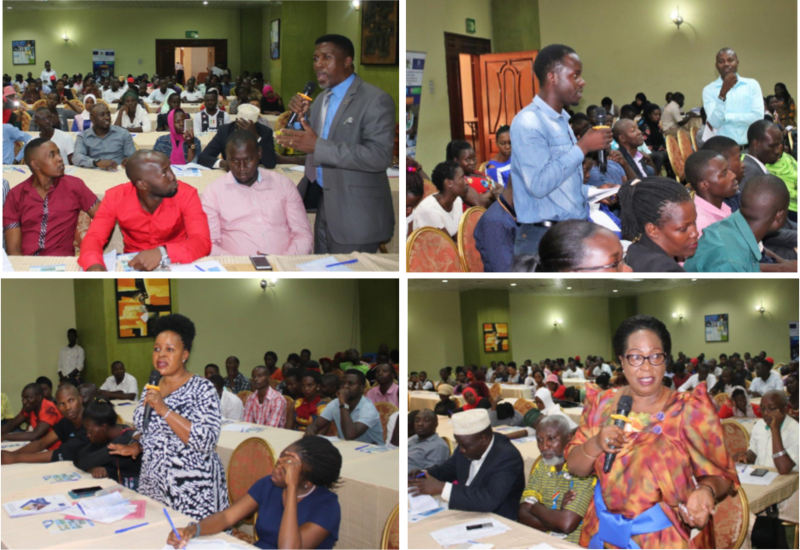 Present at last week’s public dialogue included residents and Political leaders and technical officials from the Kampala Capital City Authority (KCCA). They listened and answered questions as residents registered their complaints and compliments. The dialogue, which featured exchanges of some candid views, was informed by a scoping survey of Katwe and Kisenyi slums, which was itself informed by an earlier rapid assessment in two other slums. Katwe and Kisenyi are densely populated and host significant numbers of refugees and migrants from Somalia, Democratic Republic of Congo, South Sudan and Burundi. But the scoping report notes that slums in general host a lot of migrants from other parts of Uganda. The scoping study participants included health, education and community development officials of the city authority; the Uganda Human Rights Commission, Uganda Police Force; civil society; cultural and community leaders, and the general public in the project sites. In both surveys, residents said the quality of services such as health, education, water and sanitation, and human rights protection in slum areas was poor. But the same residents were not keen to demand better from their leaders. “The household survey findings indicate that 72 per cent are aware of their rights but 67 per cent, even when aware of such rights, have not taken a step to demand them. Many of the people are resigned, feeling that there is nothing that can be done and neither can their voices and views be considered,” the scoping survey report says. Some 67 per cent of the surveyed people said corruption was common in their community, while 85 per cent said corruption had significantly affected the quality of services. They said among the services affected by corruption include health and Justice, law and order. “Every Police report in this community has a poster indicating that [police bond] is free and no one should pay for [bond]. But the practice is different; when our children are arrested, to get them out you have to pay not less than UGX 100,000,” the scoping report quotes a religious leader as saying. During the public dialogue, residents – most of them youths – repeated similar complaints, while leaders offered explanations. “There are people who know that for certain cases you cannot get a police bond unless you go to court and you formally apply for bail. But these people are able and willing to pay in the desperate hope of getting bond; those are the people meandering around police stations with money,” said a senior police officer. Two mayors of city divisions, who attended the meeting, appeared to pass the buck to the central government, urging it to tackle such problems as drug abuse and dropping out of school among slum youths. The Central Government was represented by the Principal Labour Officer from the Ministry of Gender, Labour and Social Development. Both the labour officer and the SSCoS project manager urged youths to beware of dodgy firms promising attractive jobs abroad; instead, they should use licensed recruiting agencies and use formal labour migration channels.